John Christopher Kunze was born in Germany. After his parents died in 1758, he received his early education at the orphanage in Halle before studying history, philosophy, and theology at the University of Leipzig. He then worked as a teacher and an orphanage inspector before becoming ordained. In 1770 Rev. Kunze came to Philadelphia to serve as second pastor at St. Michael’s and Zion’s congregation. The following year he married Rev. Henry Muhlenberg’s daughter Henrietta. He founded Philadelphia’s Lutheran Theological Seminary in 1773. In 1779 he succeeded his father-in-law as pastor of Zion Lutheran Church. Rev. 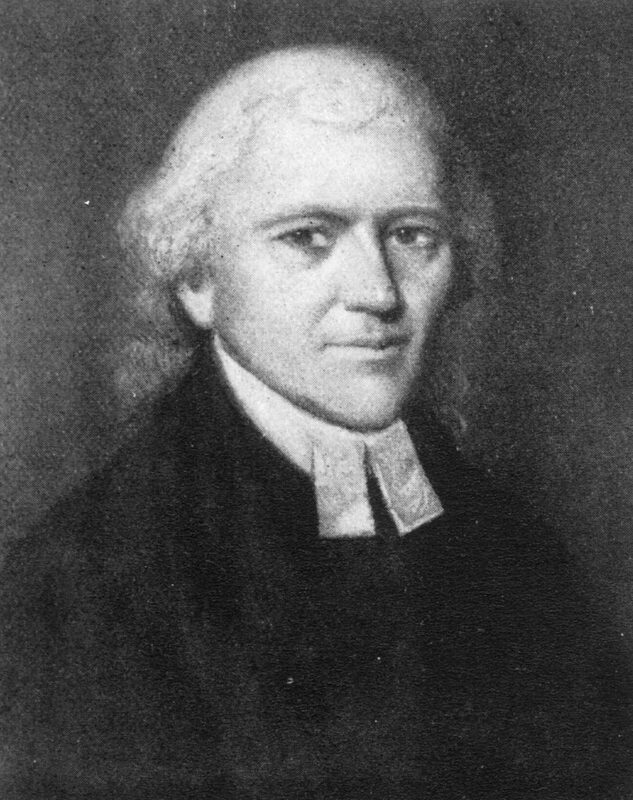 Kunze, as the senior minister of the Lutheran Church in Philadelphia, served from 1779 to 1780 as an ex officio member of the board of trustees of the University of the State of Pennsylvania (now the University of Pennsylvania). He relinquished his seat on the board when he was appointed German professor of philology in 1780 and professor of Oriental and German languages during a reorganization of the University faculty in 1782. While teaching German at Penn, Kunze worked unsuccessfully with fellow German Lutheran pastor, Justus Henry Christian Helmuth, to establish a German College within the University. In 1784, the same year he was elected a member of the American Philosophical Society, Kunze accepted a call to Trinity and Christ Church in New York City and also became professor of Oriental languages at Columbia College. A leading educator in the new United States, Kunze was fluent in five languages and also studied medicine, astronomy, and numismatics. Kunze also issued the first English-Lutheran hymnbook, translated Luther’s catechism into English, served as official translator for Congress in 1785, and in 1806 published a new method for calculating eclipses.